Recently, researchers have found that insomnia may be a long-term effect of a stroke. But what does that mean for those who have had a stroke in the past? Well, simply put, it means that the road to recovery may take a bit longer than expected. After a stroke, there are many physical, emotional, and cognitive changes in a person. It all depends on what part of the brain was damaged, but frequent physical changes may include dysphagia (difficulty swallowing) or hemiparesis (muscle weakness on one side of the body). 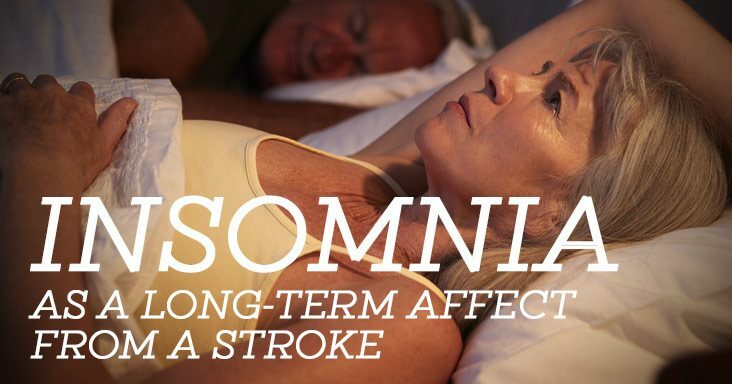 If a stroke survivor develops insomnia, the rebuilding and healing of muscles can’t occur, which can lead to a slower recovery. Additionally, without this needed sleep, individuals may notice more emotional changes (such as crankiness) and cognitive struggles (such as difficulty concentrating). If you’ve had a stroke and now experience insomnia, there may be options out there for you to get better sleep. These options include meditation and breathing exercises, trying to follow a stricter bed-time schedule (going to bed and waking up at the same time each day), and making sure to keep your bedroom dark and comfortable. Be sure to discuss any concerns with your physician. Rehabilitation Hospital of Northwest Arizona is part of Ernest Health. Ernest Health provides specialized medical and rehabilitative services to our patients through our rehabilitation and long-term acute care hospitals. We treat patients who often are recovering from disabilities caused by injuries or illnesses, or from chronic or complex medical conditions. As our Guiding Principles state, we promote a healing and nurturing environment where everyone is treated with dignity and respect. We are first and foremost passionate patient caregivers and team members, connected at our core by the treatment needs of our patients. Our leadership team will bring extensive healthcare experience to Rehabilitation Hospital of Northwest Arizona. We invite you to meet them and learn more about why they are passionate about healthcare. At Rehabilitation Hospital of Northwest Arizona, we will be committed to being good neighbors and responsible corporate citizens in the Flagstaff community. We do this through not only the healthcare services we provide, but through our philanthropic efforts. The terms "Ernest Health," the "Company," “we,” “us,” or “our” as used in this website refer to Ernest Health and its affiliates, unless otherwise stated or indicated by context. The term “hospitals” or "facilities" refers to entities owned or operated by subsidiaries or affiliates of Ernest Health. References herein to "Ernest Health" or to "our employees" refer to employees of affiliates of Ernest Health.